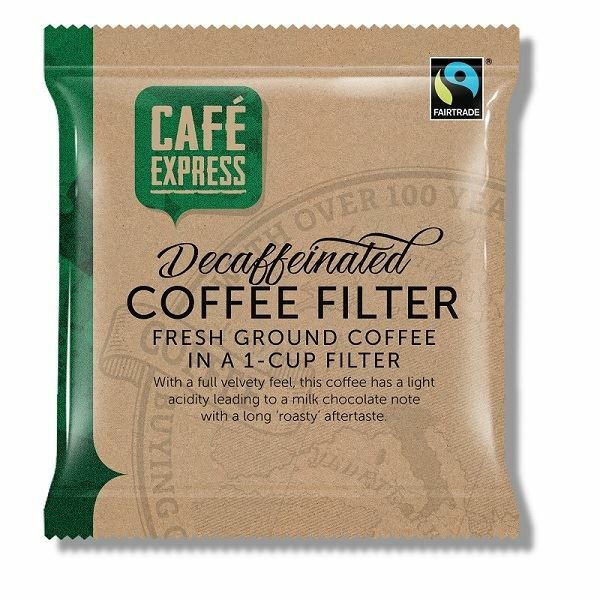 Cafe Express is a disposable filter bag of superior fresh ground coffee in a smart sealed sachet. Only suitable for very careful guests as potential for spillage of both dry and wet coffee is considerable. Same as the coffee option. To messy, to much fuss. sachets/sticks I should have ordered. Very pleased with this new decaf coffee and we are sure our guests will love it also. This is fabulous coffee - far better than you initially expect it to be coming from a little sachet. It tastes incredibly fresh and smooth and has proven to be very popular with our guests!